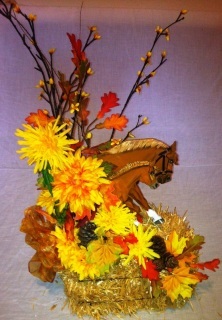 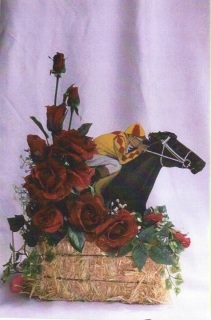 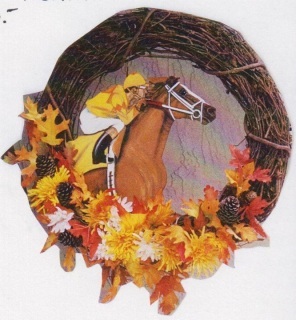 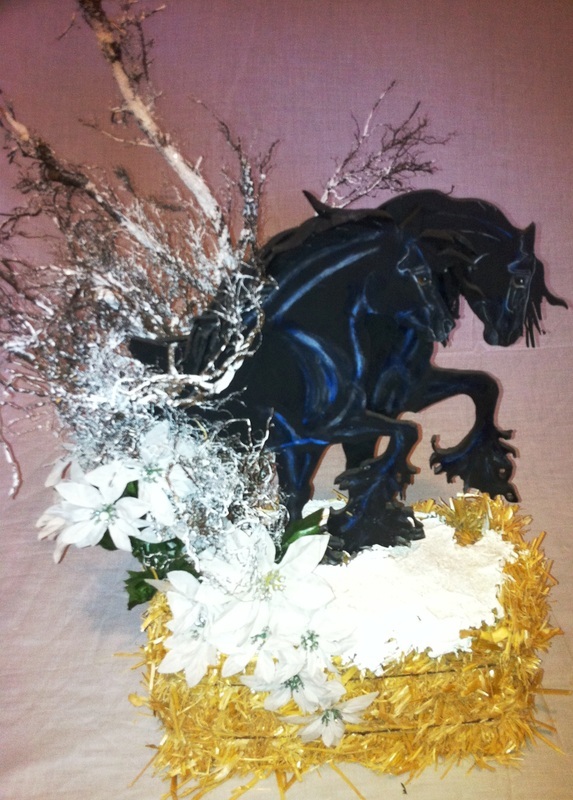 Horse and jockey wreath customized to your customized to your horse and jockey silk colors, and flower specifications. 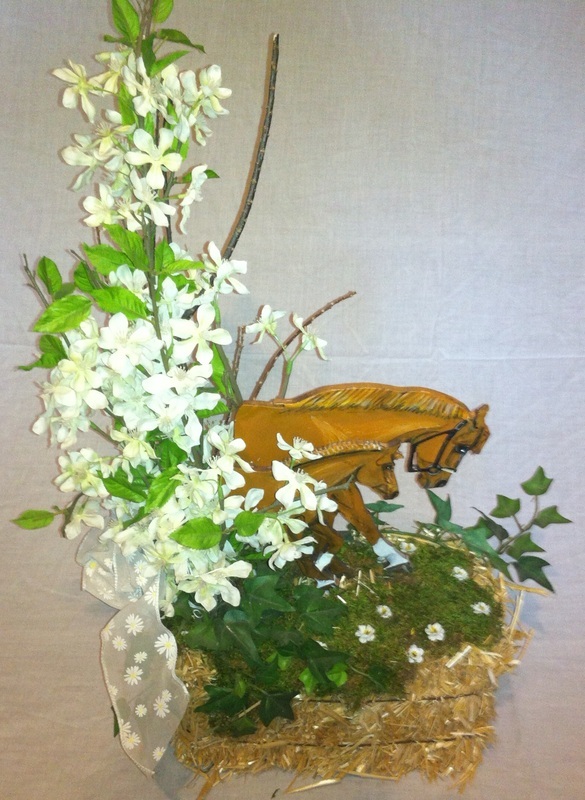 Horse and colt with hay bale and seasonal flowers can be customized to your breed, horse color, and flower specifications. Horse and jockey with hay bale and seasonal flowers can be customized to your horse and jockey silk colors, and flower specifications. Two horses with hay bale and seasonal flowers can be customized to your breed, horse coloring, and flower specifications. 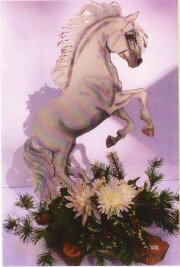 Single rearing horse mountedon cypress wood can be customized to your breed, horse coloring, and flower specifications.